[Editable] - if a verse is shown as being editable it means that you are the only person currently memorizing that verse and you are free to edit it to your heart's content. Please don't take this as an opportunity to enhance the work of the bible translators. Make every effort to have the text match exactly to the translation of your choice. (We highly recommend using Biblegateway or Youversion). Pending Verification - once a second person starts memorizing the same verse, it will be flagged to be checked by one of our moderators. At this point you will no longer be able to edit the verse. Verified - Once a verse has been checked by a moderator, it is classified as verified and should no longer contain errors. Error Reported - If you find a verse that has already been verified but has an error, you can click on the word, 'Verified' and it will flag the verse to be checked again. If you accidentally report a verse as having an error, don't worry, just click again and it will revert to being classified as verified. Again, when you're entering verses, please make every effort to not make mistakes. We now have thousands of verses being memorized and over time, we'd like to eliminate the manual verification process entirely so that we can spend as much time on other features as possible. We usually have most verses verified within 48 hours but occasionally fall a bit behind. If a verse says, 'Pending Verification' one of our moderators will definitely get to it at some point. Please note: Verses which are 'Pending Verification' in your list of verses are not to be confused with memory verses that are just 'Pending' (inactive) in your account. For more information about the second type of 'Pending' verses, please see our post on Pending Verses. If you look at your list of memory verses you will see a column titled 'eFactor'. This is a number that represents the difficulty (or easiness, hence the name) of memorizing a bible verse. Every time you review a verse, the number is adjusted and over time will be a good measure of how easily you retain that particular memory verse. The eFactor is one of the biggest determinants of the interval between review sessions. If you keep rating your recall as '5 - Perfect', the eFactor will keep increasing and the interval will grow rapidly. If you rate your recall as '3 - Difficult', the eFactor will decrease and the interval between repetitions will grow slowly. Rating your recall as '4 - Hesitation' will leave the eFactor unchanged and the algorithm will assume that it has the speed with which it is increasing the interval just right. If this explanation makes your head hurt, don't worry about it. 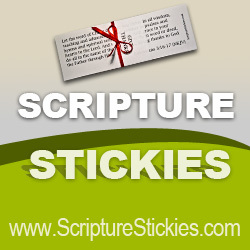 Just think of it as the equivalent of sorting your memory verse flash cards from easy to difficult. The good news is that you don't have to keep track of this yourself and you can leave Memverse to figure it out for you. Don't feel that you have to limit yourself to a formal church or group. Feel free to be creative. Start a family group, give your small group or bible study a name and memorize together, or just get a few friends with a heart for knowing God's Word. Currently your score will simply be the sum of the verses that any active group member has memorized. I realize that this strongly favors larger groups but we'll leave it that way for now as an incentive for people to recruit others to join them. With time, we will probably tweak it so that groups with around eight members can still feel as though they have a chance. Most importantly, keep it friendly and have fun! Feel free to share your thoughts in the comments below. Nothing is chiseled in stone yet. Welcome to those of you who have made it your goal to memorize 1 Timothy. I'm hoping that this entry can be used to encourage you all to make it to the end of the book. Those of you who have been successful in memorizing entire books in the past, definitely feel free to share your experiences. If you would like to share insights and testimonies as you go along, feel free to do so in the comments section below. If you've already registered with Memverse, you're cleared to comment on the blog so no need to re-register. Also, make sure that you select '1 Timothy Project' as your group affiliation. That way you'll be able to track the progress of everyone who has embarked on the journey with you. One final word of caution: don't be tempted to add the entire book all at once. It will be best if you start with the first 5 verses and then gradually add verses as you go along. The software will take care of the rest. (Growing Strong in the Seasons of Life p. 61). If you're very alert you will occasionally notice corrections to verses that you're memorizing. In the early days of Memverse, we allowed anyone to edit any verse. The hope was that, like Wikipedia, any inaccuracies would gradually be eliminated. This turned out to be a foolish hope as users often decided that a slight tweak to the work of the Bible translators would be preferable. Since we now have thousands of users memorizing some verses, it was important that one person not be allowed to tamper with a jot or tittle of the text. If you look at your list of verses you will notice that the last column designates verses as either 'Locked' or 'Editable'. If a verse is still editable, it means that you are the only person currently memorizing that verse and we encourage you to edit it to be as accurate as possible. Cutting and pasting from Bible Gateway (please also remove any footnote information, verse numbering, and new line characters) is the best method to ensure accuracy. At some point that verse is likely to have a second user who will be memorizing the verse as you entered it. Once a second user starts memorizing a verse, it is flagged for review by one of the moderators. The verse will typically be verified within a day or so and will then be locked to prevent further editing. Despite the best efforts of our moderators, you will occasionally find a verse that is locked but that still has an error. Just drop us a line and we'll gladly correct it. If you are new to Memverse we highly recommend starting with no more than 5-10 verses. We have noticed that people who add 50 verses on their first day almost always become discouraged and give up. It is very difficult to start memorizing too many new verses at once. If you plan to log in daily, starting with 5-10 verses means that your first memorization sessions will take about ten minutes and will be manageable. You might have noticed that some of the people on the leaderboard are learning around 50 verses at a time. We can assure you that they all worked up to that slowly or suffered through some very frustrating memory sessions. As the verse intervals increase, it is quite possible to have 50 verses on 'Learning' status. Your daily time commitment is listed on both the home page and on the progress page. Lots of people have found that the best approach is to add verses only when the daily time commitment is below what you're targeting. It will vary slightly from day to day but it is a pretty good guide so keep an eye on it. There are a variety of ways to add Bible verses on Memverse. You can go to the popular verses page. As you hover your mouse over a given translation, the text of the verse should appear to the right. You can click on the translation and it will give you the option to add the verse to your list of memory verses. The main way to add verses is from the 'Add Verse' page, also located under the Home tab. Type the reference for the verse (e.g. Romans 12:1) into the top left box (labelled 'Verse'). If other users have entered the verse you will see the available translations appearing on the right. If the translation you want to use appears on the right you can click it and the verse will be added to your list. There are already thousands of verses in the database so there is a good chance that the verse you want will appear under the available translations. Alternatively, if the translation you want to use does not appear, you can select the translation in the drop down menu (below the 'Verse' box) and then enter the actual text of the verse into the large box. We recommend either cutting and pasting the text from a website like Bible Gateway or typing it in very carefully from your own Bible. Remember, other people will be using the verses you enter yourself to memorize so don't alter the text to suit yourself! There is also a list of popular verses on the 'Add Verse' page. You can add those verses to your list of memory verses with a single click. Only select this option when you feel that you are reviewing a memory verse too frequently. Selecting this option will increase the review interval fairly dramatically. As tempting as it is to get the verse memorized as quickly as possible, you will find that you will have an increasingly difficult time recalling the verse if you select this option too frequently. It is best selected when you recall a verse instantly and can recite it perfectly without any hesitation whatsoever. We have had difficulty coming up with a suitable label for this option but it is intended to be used when you feel that you have recalled a memory verse to your satisfaction and with only slight hesitation. This is the option to select when everything feels just right. If you think to yourself: "It's a good thing I reviewed this verse now otherwise I might have forgotten it", then you should select this option. We recommend making frequent use of this option. If you struggle to recall a passage of scripture but can eventually get it correct without flipping over the flash card then you should select this option. If you have any doubt about rating yourself with button 4 or 5 then this is the selection for you. You will get to review the verse more frequently than the two options above but the interval will still continue to increase. Either of these next two options will reset the interval to one day and the verse will revert to 'learning' status. Don't worry, bible memorization is a long term effort and starting again sooner, rather than later, will be profitable in the long run. Select this option if you can't associate the bible reference with the memory verse or if you cannot recite or type the verse without using the flash card. Select this when you can't remember anything. Memverse will adjust the review of the verse to be more frequent. This is a good option to select when you are starting a new verse as it will start the verse on a more frequent review schedule. You shouldn't think of the five options as though you are grading yourself on a test. Rather, think of them as you giving feedback to the Memverse system to allow it to adjust the review schedule optimally. It is designed to be a flexible system: if you are the type of person who would like to know each verse backwards and forwards with perfect punctuation, then you can use the five memory assessment options to achieve that goal. If it's not critical to you whether you occasionally substitute the word 'for' in place of 'because' or swap 'Jesus Christ' with 'Christ Jesus' then you can adjust your feedback accordingly. Finally, don't agonize too much over which button to select. If you remembered the verse select one of the top three buttons. If you can't remember select one of the bottom two. The Memverse algorithm will gradually adjust over time. Paul wrote that “we all, . . . beholding the glory of the Lord, are being transformed into the same image from one degree of glory to another” (2 Corinthians 3:18)) If we would be changed into Christ likeness we must steadily see him. This happens in the word. “The Lord revealed himself to Samuel at Shiloh by the word of the Lord” (1 Samuel 3:21). Bible memorization has the effect of making our gaze on Jesus steadier and clearer. “How can a young man keep his way pure? By guarding it according to your word. . . . I have stored up your word in my heart, that I might not sin against you” (Psalm 119:9, 11). Paul said that we must “by the Spirit . . . put to death the [sinful] deeds of the body” (Romans 8:13). The one piece of armor used to kill is the “sword of the Spirit” which is the word of God (Ephesians 6:17). As sin lures the body into sinful action, we call to mind a Christ-revealing word of Scripture and slay the temptation with the superior worth and beauty of Christ over what sin offers. When Jesus was tempted by Satan in the wilderness he recited Scripture from memory and put Satan to flight (Matthew 4:1-11). The times when people need you to give them comfort and counsel do not always coincide with the times you have your Bible handy. Not only that, the very word of God spoken spontaneously from your heart has unusual power. Proverbs 25:11 says, “A word fitly spoken is like apples of gold in a setting of silver.” That is a beautiful way of saying, When the heart full of God’s love can draw on the mind full of God’s word, timely blessings flow from the mouth. Opportunities to share the gospel come when we do not have the Bible in hand. Actual verses of the Bible have their own penetrating power. And when they come from our heart, as well as from the Book, the witness is given that they are precious enough to learn. We should all be able to sum up the gospel under four main headings (1) God’s holiness/law/glory; 2) man’s sin/rebellion/disobedience; 3) Christ’s death for sinners; 4) the free gift of life by faith. Learn a verse or two relating to each of these, and be ready in season and out of season to share them. I used the word “enjoyment” intentionally when I said, “communion with God in the enjoyment of his person and ways.” Most of us are emotionally crippled—all of us, really. We do not experience God in the fullness of our emotional potential. How will that change? One way is to memorize the emotional expressions of the Bible and speak them to the Lord and to each other until they become part of who we are. For example, in Psalm 103:1, we say, “Bless the Lord, O my soul, and all that is within me, bless his holy name!” That is not a natural expression for many people. But if we memorize this and other emotional expressions from the Bible, and say them often, asking the Lord to make the emotion real in our hearts, we can actually grow into that emotion and expression. It will become part of who we are. We will be less emotionally crippled and more able to render proper praise and thanks to God. Welcome to the new Memverse blog. We'll be using this blog to answer many of the questions that we currently get via email. We're still more than happy to answer email questions, but we thought that sharing the answers on a blog would be helpful for others. You will be able to comment on the blog without having to create another login so feel free to ask questions or comment. The comments are currently moderated but hopefully we'll be able to drop that soon.